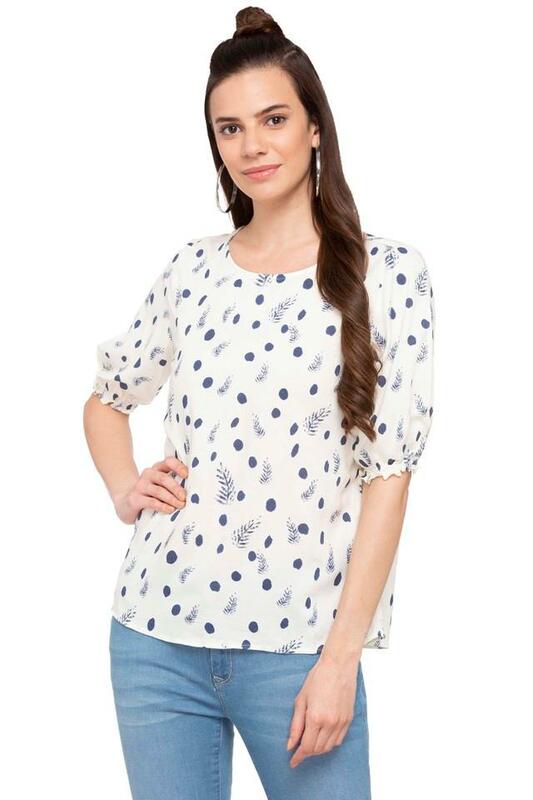 Individuals, who appreciate classy fashion will surely consider getting this top from the house of 109F. 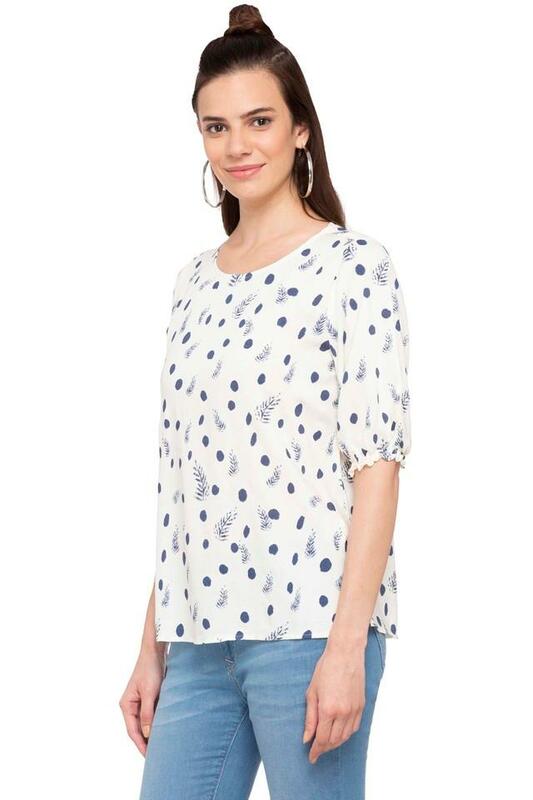 Owing to its premium quality fabric make, it assures you of day long comfort. Besides, it comes in a print pattern, which looks all the more appealing with a round neck and puff sleeves. 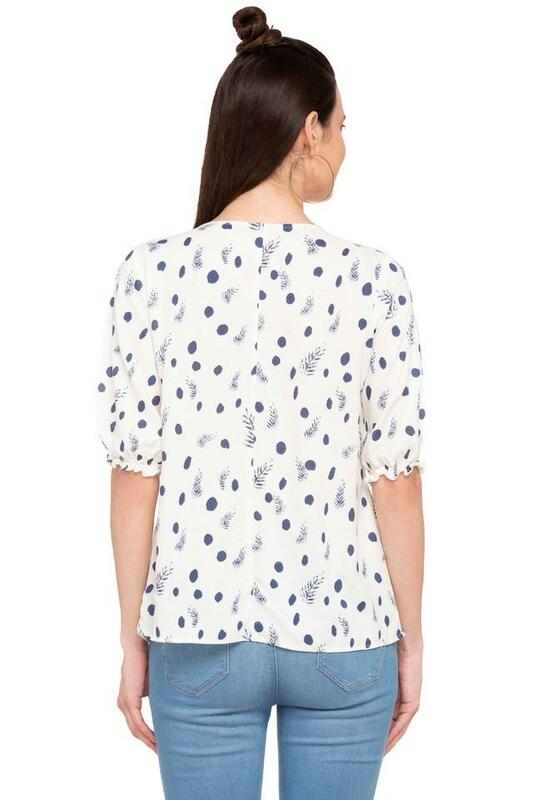 Go for a wardrobe overhaul by adding this top, which comes in a print pattern. 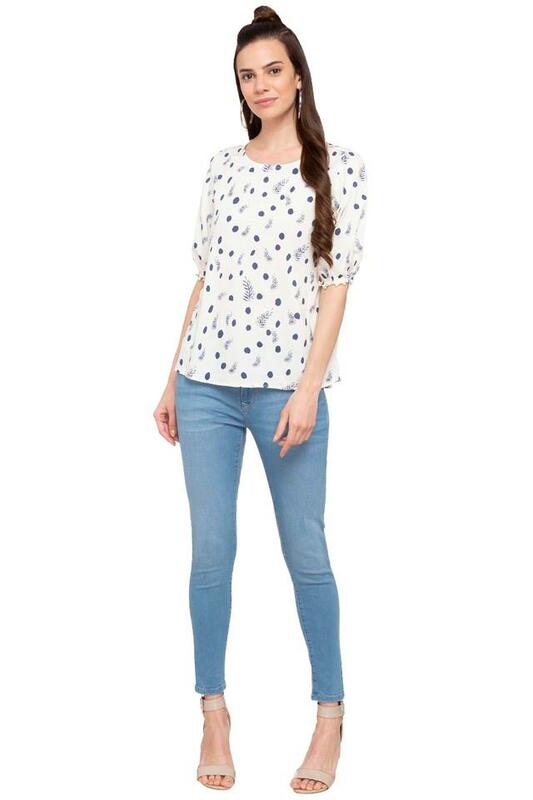 You can club it with a pair of jeans and pump shoes while heading for any casual outing with friends or family.